Canadian lyric coloratura soprano Jane Archibald is appearing with the COC this spring as Zerbinetta in Richard Strauss’s Ariadne auf Naxos, and her performances have gathered rave reviews in the press. Her debut solo CD, Haydn Arias, has just been released on ATMA Classique. 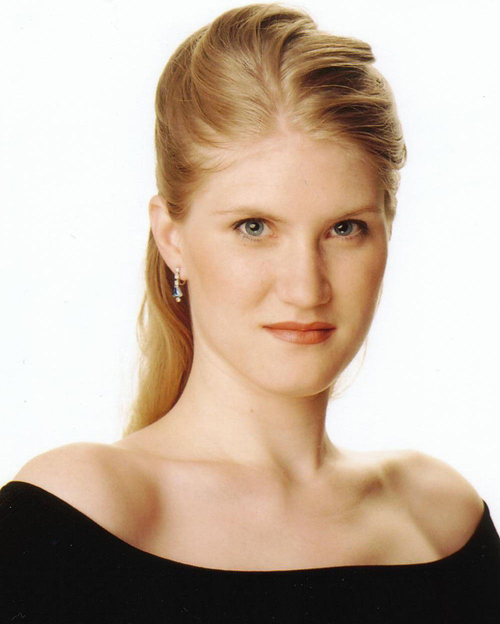 She’ll also be returning to the COC next season singing the title role in our May 2012 production of Handel’s Semele. She recently spoke with Gianmarco Segato, retail and editorial co-ordinator for the COC from her home in Austria. GS: What led you to leave Nova Scotia where you grew up, to study at Wilfrid Laurier University in Waterloo, Ontario? JA: I knew I wanted to take singing pretty seriously and that I wanted a shot at having a real career. Everyone has a different path, so I’m not saying in any way that staying in Nova Scotia and going to a Maritime university would have prevented that, but at that point I wanted to be near a larger centre with lots of opportunities to attend concerts and operas and that kind of thing, where it was happening. But for me, the biggest determiner in terms of a specific university was my choice of voice teacher. I was singing in a Kiwanis Music Festival in grade 12 and someone mentioned to my voice teacher, something like “Who’s going to be looking after that voice next year? Because that’s a big responsibility!” That made me think that I should take my search for a teacher seriously, so in my limited way, I went about trying to find out who might be good, and Victor Martens was one of the names on the list. It may have been unusual, but even at 18, I went in with the idea that although I was the one auditioning, I was also auditioning my teacher. It had to be the right fit for me. I really paid attention to how it felt to sing and talk to this person. I sang for a number of schools but I just hit it off with Victor and it felt like the perfect fit. Since Wilfrid Laurier isn’t a huge school, and is primarily undergraduate, I got a lot of performing opportunities. And, I was still in Southwestern Ontario, able to drive to the COC and competitions as they came along. GS: I think it’s quite unusual for an 18-year-old to demonstrate the kind of foresight you did to recognize the importance of finding the right teacher and that you wanted to make singing your career. JA: Well, it wasn’t just me—I have to say my mother was a big help in that way. She played devil’s advocate asking me, “Is this really what you want to do?” She knew that it’s a hard career and she really wanted to make sure that I was very passionate about it, and I must have proven it to her because then she definitely got on board! GS: Other than Richard Strauss who has obviously played an important part in your career thus far, which other composers’ music do you most enjoy performing? 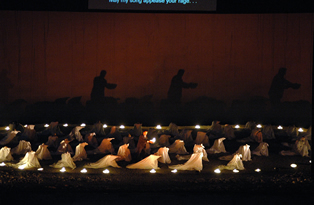 Last week, the COC hosted a twitter contest for a pair of tickets to Orfeo ed Euridice. The conceit? Inspired by the popular #operaplot contest hosted annually by The Omniscient Mussel, the goal was to summarize the plot of a Greek myth in a single tweet (140 characters or less, including the mandatory #mythplot hashtag). For your entertainment, here's the complete list of entries. @emilyesanford: #mythplot Narcissus, loving his own image, was reduced to pondside foliage--ignoring Echo's devoted refrain. Their demise? Love in Vain.